Hostmysite.com :: How do I create an email alias? The following article explains how to create an email alias. 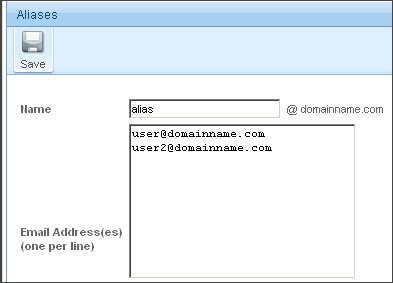 An email alias is a virtual mail box for a domain, which routes emails to another address directly without storing them. An alias can be created only by the root user. Login as root@domainname.com with the password supplied in your setup email. From the left side bar, expand Domain Settings. 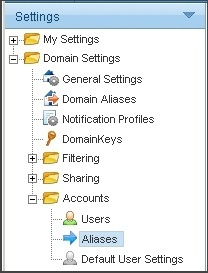 Expand Accounts and click Aliases. Name: enter the name for the alias.